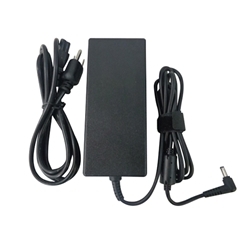 Description: New laptop ac power adapter charger. This 120 watt high quality aftermarket adapter comes with a power cord and has a 5.5 x 2.5 mm tip. Compatible Part #'s: PA-1121-28, ADP-120ZB BB. **Some of these part #'s could be associated with adapters that may not be compatible. Please check the tip size of your existing adapter and if your laptop is listed as being compatible before purchasing.